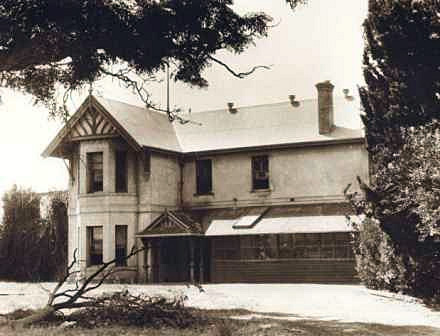 The area on which Shenton House is located had a succession of owners prior to that of the University. 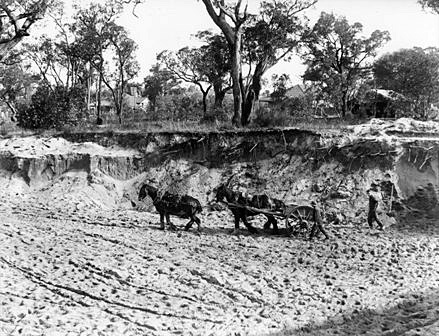 The land was first released by the Surveyor General to Captain Mark Currie in 1829. He was granted Location 87, a 32-acre (12.6 hectare) area of land fronting Eliza Bay (it would later become known as Matilda Bay). Ownership of this property changed in 1832 when he sold it for £100 to Henry Sutherland, Colonial Treasurer. Sutherland named his new property ‘Crawley Park’ in memory of his mother, Maria Crawley. He was responsible for the construction of the original two-story homestead in 1846. After Sutherland’s death the property was occupied by various family members, and was then leased to the Colonial Secretary, Frederick Barlee. It was eventually sold to George Shenton (later Sir) who purchased Crawley Park and several adjoining properties in 1876 for £1800. 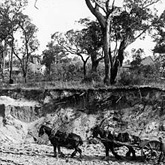 The University was granted permission to use the Crawley Park Homestead in 1914 to accommodate the Department of Mining and Engineering. This resulted in alterations to the premises to meet teaching requirements. 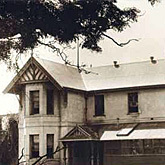 The University formally acquired the property in 1921. It was later renamed ‘Shenton House’ in honour of Sir George Shenton.